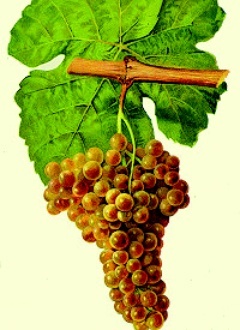 MARSANNE is the main white varietal of the northern Cotes du Rhône. It displays exceptional longevity in the warm, pebbly soil: one hundred-year-old vines are not uncommon! This variety does best in soils rich in clay or alluvial deposits, that retain water. 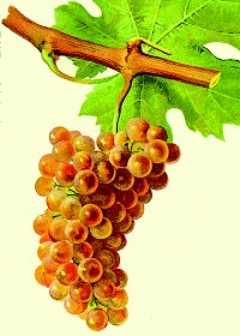 There are also a few ROUSSANNE vines throughout the Hermitage vineyards. The Cave’s knowledge & craftsmanship: thanks to an old plot of Marsanne, the Cave de Tain has continued the tradition of Hermitage “Vin de Paille” since 1985: a rare nectar that should be savoured! to No. 6 : follow on the right, then take the vineyard track in front of you to the left, to Tain l'Hermitage.